The ASM Standard is anything but standard. Astute players will immediately see that this ASM Standard is equipped with some serious hardware including Rockfield Mafia pickups and a Floyd Rose Special tremolo. 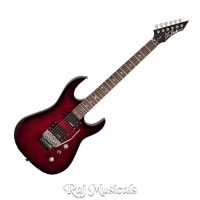 FACTORY STRINGS: .009 - .042 SCALE: 25.5"
Raj Musicals is an authorized dealer of BcRich products.